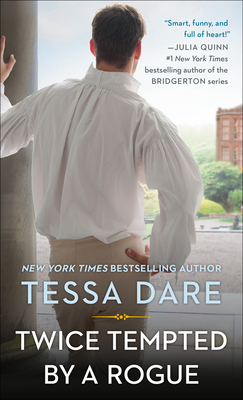 The daring members of the Stud Club are reckless gamblers and no strangers to risk—until love raises the stakes in Twice Tempted by a Rogue. Luck is a double-edged sword for brooding war hero Rhys St. Maur. His death wish went unanswered on the battlefield, while fate allowed the murder of his good friend in the elite gentlemen’s society known as the Stud Club. Out of options, Rhys returns to his ancestral home on the moors of Devonshire, expecting anything but a chance at redemption in the arms of a beautiful innkeeper who dares him to take on the demons of his past—and the sweet temptation of a woman’s love.